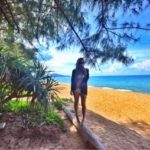 Beauty Post: AHAVA Hong Kong – Christing C.
I’ve been travelling non-stop the last month, hoping from one beach destination to the next, and subjecting my skin to copious amounts of sun, sea, and sand. I always have my favourite products I bring along each trip and these Ahava skin products have gotten me through my travels without lugging around hefty bottles or messy containers. 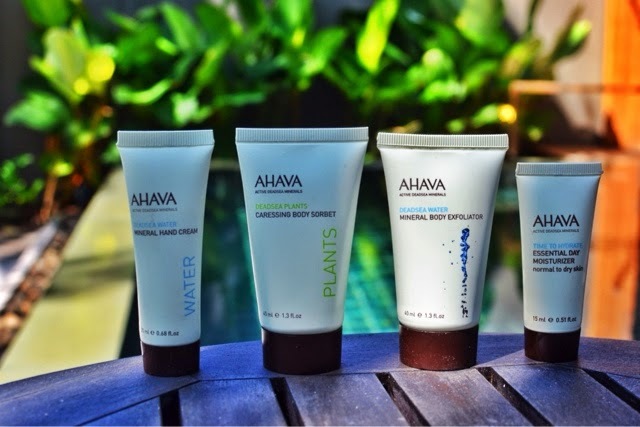 Ahava are a natural brand, utilizing minerals from the dead sea. The natural element of the brand means no nasty stuff. My skin is extremely sensitive and I found that although effective, nothing was overly abrasive on my skin. The Mineral Body Exfoliator was the perfect pre beach treat to create silky smooth skin and I couldn’t get enough of the Caressing Body Sorbet and Essential Day Moisturiser after a long day in the sun. I’m definitely addicted to this pure skincare brand and can’t wait to try more of their sensitive skin friendly products. t come in all shades of green beside the well known emerald. The emerald ranges in color from yellow green to a blue green and was a favorite gem of Cleopatra. It is considered to be an amulet of good fortune. Green sapphires range in color from yellow green to blue green to a grayish green and tourmaline comes in all shades of green. The Tsavorite garnet is yellow green to blue green and the Demantoid variety is yellow green to an emerald green..